Ductless air conditioners and heaters are an excellent way to maintain constant internal climate within your home or office, no matter what the weather outside. They give you the ability to keep temperatures cool during the summer and warm during the winter, without any unpleasant extremes. But what exactly are ductless mini split air conditioners and heaters anyway? How do mini splits work and how do they differ from typical central air HVAC units? Many NJ homes and offices are often built with central air HVAC systems. These systems are called split systems and are separated into two parts. 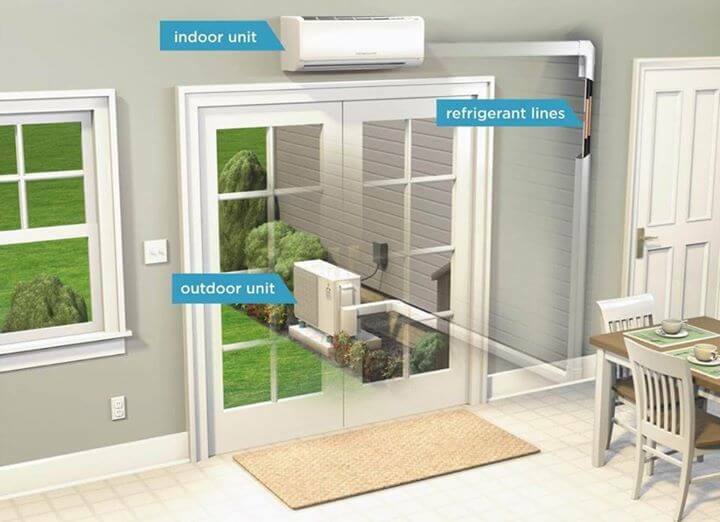 An outdoor condenser/compressor is situated outside the home or office connected to an indoor air handling unit which is connected to a thermostat that can be operated/adjusted by the owner. The indoor and outdoor units are connected by copper tubing lines which circulate the refrigerant between the coils of both units. Air is circulated inside the home by supply and return ducts that are connected to the indoor unit. Conditioned air is delivered to each room by the supply duct lines while return ducts bring air back to the indoor unit. The problem, however, comes with home additions or with the installation of HVAC equipment in older homes and offices that have no existing ductwork. Many home and business owners don’t want to cut through floors and walls in order to install new ducts. The good news is that ductless technology gets around this problem. Whereas regular HVAC units need a way to exchange air between the indoor unit and the living space inside the home or office, ductless technology eliminates this need by circulating the air directly through the indoor unit without utilizing ductwork. 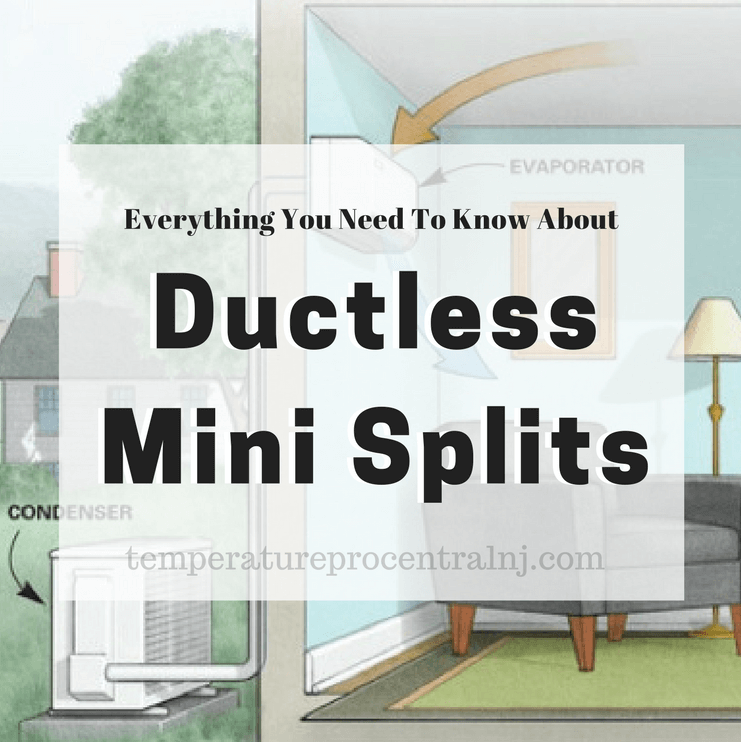 How Do Ductless Mini Split Systems Work? Ductless HVAC systems, also called mini-split systems, work in a remarkably simple way. First off, air is taken in from the room through the air handling unit (the unit you see on the wall on the inside of homes and places of work outfitted with HVAC systems). This air is then transported to the condenser (outdoor unit) via a series of pipes where it is brought into contact with a series of coils containing coolant. When the hot, humid air inside the room comes into contact with the coils, it transfers its energy to them, turning the coolant liquid inside into gas. The gas is then sent off to the compressor part of the condenser unit, where it is recycled, using electricity, back into a liquid. The newly cooled air is then fed to the air handler, where it is ejected back into the room. With repeated cycles, the temperature of the room falls. Mini-split systems are more flexible than conventional cooling and heating solutions. They can be installed in practically any room since there is no need to install extensive distribution ductwork throughout the property. Since each unit is independently controlled, this makes them ideal for installation in apartments, and offices shared with other companies. Controlling a ductless air conditioner and heating system is straightforward. Most models come with remote controls that allow owners to set the temperature in each room. Up to eight (8), indoor air handler units can be connected to one outdoor condensing unit, providing a solution for larger spaces. Why Would A Person Buy A Ductless System? Ductless systems come with a host of impressive benefits. Here are a few. Regular HVAC systems can be inefficient. The ducts typically used to transfer air increase the risk of air leakage, equalizing the temperature between the inside of a room and the outside air. If outdoor temperatures are high, warm air will seep into the room, forcing the air conditioning unit to work harder than it otherwise would have. Likewise, if the temperature outside is cold, cool air can get in through the ductwork and force the system to expend additional energy on heating. 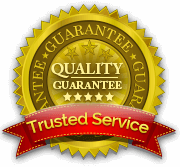 Typically, most of the ductwork is located in unconditioned space, either basements, attics or crawl space. Since this ductwork is exposed to cold temperatures in the winter and hot temperatures in the summer, the HVAC equipment has to work extra hard to counteract this exposure in addition to heating or cooling the living space. Ductless systems, however, skirt around this problem by eliminating the ductwork altogether. Therefore, prevent HVAC units from having to work so hard. This, in turn, reduces their energy expenditure, which is good for the environment. Since heating and cooling costs are the largest contributors to home energy bills (nearly half of total costs), energy-efficient HVAC solutions should be a top priority. Ductless systems, in general, tend to be more energy efficient than regular HVAC systems for several reasons. First, a ductless mini-split system SEER rating ranges from 18 SEER to 30 SEER while conventional air conditioner SEER rating ranges from 13 SEER to 20 SEER. This indicates savings on electrical costs on the order of 30% to 40%. Second, ductless mini-split systems utilize inverter technology which is used to control the speed of the compressor motor. Only high-end traditional air conditioners utilize this technology. Air conditioners with inverter technology have increased efficiency compared to traditional air conditioners, have extended the life of their parts and sharp fluctuations in the load are eliminated. This makes the inverter AC units quieter, with lower operating cost and with fewer breakdowns. Third, a conventional air conditioning system loses 25% to 30% of its efficiency due to leakage in the ductwork which is nonexistent in ductless mini-split systems. 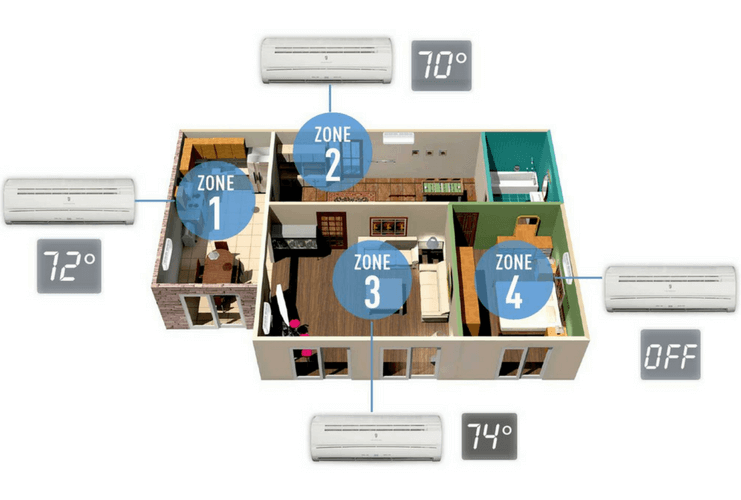 Lastly, ductless HVAC mini-split units are individually controlled at each location while conventional systems are controlled with one or two thermostats that control the entire home or workspace. Installing a traditional ducted system in your home or business is a major undertaking and can disrupt your normal, daily activities. Ducting has to be routed along the walls, or inside them, to connect together the various parts of the system, a process which can take days or even weeks to complete depending on size and complexity of the project. Ductless systems, on the other hand, are far easier to install. Separate systems can be fitted on a room-by-room basis, and work is often completed in under a day. Because multi-split systems use such small holes, there’s rarely any need to rebuild walls or repair plasterwork. Most holes are three inches in diameter and have little if any, structural impact on your building. Traditional HVAC systems were focused on keeping a home or business at a prespecified temperature (at the thermostat location) and not much more. But owners found that having them cleaned out regularly was a major hassle. In addition, old ducted systems didn’t prevent pollution from coming in from outside. They blew in bacteria, pollen, allergens, and pollution from vehicle exhausts without discrimination. Worse still, many of these contaminants remained, even after regular cleaning. Modern, ductless mini split units now come with sophisticated filtration cartridges which can be easily washed or replaced and don’t require regular maintenance. These multi-stage filtration systems help to eliminate the vast majority of problematic airborne particles from getting into your home or place of work. Utility prices have been trending up recently, as energy suppliers slowly ramp up the cost of energy while incomes remain flat. As a result, many people are looking for ways to slash their energy bills and do more with less. The biggest energy cost in most homes and some businesses is heating and cooling. When HVAC systems are inefficient, these bills can spiral out of control. Can multi-split systems help you save on energy bills? The answer is “absolutely yes.” There are several reasons for this. This main reason is that ductless HVAC systems tend to use less power than their traditional counterparts. In general, they are smaller than forced-air systems (resulting in less heat loss via conduction), and air does not need to be transported along such great distances (again reducing heat loss). Instead, the air exchanger unit transfers air directly from the condenser into the room, minimising inefficiency. What’s more, because the duct itself is much smaller, energy loss is reduced. According to government estimates, more than 30 percent of the energy cost of cooling a room with air conditioning is lost through ducts. Since mini-splits do not have ducts, this energy loss is virtually eliminated. The other reason ductless systems tend to cost less is that they can be used to target specific rooms within a building to create temperature-controlled zones. For instance, if you spend the majority of your day in one particular office room, there’s no point spending money on cooling or heating the entire building. It’s better to use a ductless system and deliver heating and cooling where it is needed. In some circumstances, homeowners and businesses may be eligible for utility rebates and tax credits if they use ductless systems. 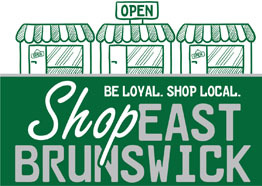 Both state and local governments provide incentives for businesses and homeowners to go green. Another reason for buying ductless systems is that they are flexible. Regular heating and cooling systems tend to be distributed throughout the entire building. If one part of the building is warm, so too is everywhere else. But is this really the best solution? What happens if you want to heat or cool one room, but not another? For instance, office workers will probably want their cubicles to be warmer than the office gym. Even family members can have different preferences when it comes to temperature, with some preferring to be cooler than others. Ductless systems get around this problem by providing a room-by-room heating and cooling solution. Because they can be installed independently, users are free to adjust the temperature however they want. Zoning within a home or a place of work is a real possibility with ductless systems. Ductless systems are also flexible in the sense that they can be installed in many more places than regular systems. Ductless systems, for instance, are ideal for small apartments and condos, period properties, old office buildings, garages, basements, home additions and new homes. What’s more, they can even be used to replace buildings with regular, ducted systems. Who Would Benefit Most From A Ductless System? Many buildings, especially period homes and Legacy offices have no ductwork at all. Even if you wanted to install a traditional-style HVAC unit, routing all that ductwork would be very costly. Hence, those who don’t yet have any existing ductwork stand to gain the most from adding an HVAC system. Different rooms can often pose particular heating and cooling problems. Rooms that are cut-off from the main body of the house or are located at the end of a duct run can be warmer or cooler than others. Ductless systems, however, are ideal for these situations. They can be used to reduce the temperature in south-facing conservatories or boost the temperature in buildings with limited heating equipment. Moving is an enormous hassle, but many people feel pressured into doing it because of the costs inherent in running a large home or office. Given that the main cost of large homes or buildings (besides the rent) is heating, ductless systems offer a potential solution. Currently, if those with regular ducted systems want to stop heating or cooling individual rooms, they have to shut HVAC grills that link rooms together. However, closing grills not only creates unequal pressure within the system but also increases the chances of mold buildup, and this mold could be blown into all your rooms if the system is restarted. Ductless HVAC systems get around this problem by allowing owners to target specific rooms. A ductless heater could be installed in the living room, for instance, and then the rest of the house could be kept ticking over by setting the thermostat to a low temperature. Thus, heat can be directed to where it is needed while avoiding wasting energy on heating up areas of the home which aren’t being used. It’s not uncommon for people sharing the same household or office to have dramatically different temperature needs. Newborn babies and elderly relatives often need much warmer temperatures than people in the middle of the age range. Preferences can change from day to day too. Somebody returning to the home after going for exercise will want a cooler temperature than another person who stayed at home to read a book. Ductless systems allow people to go to different rooms and select the temperature they want without affecting others with whom they share a living or working space. Hence, ductless systems are ideal for customers who need a flexible HVAC system for their hectic lifestyles. Finally, ductless systems are ideal for those looking to have additions built to extend their homes. These additions include garages, sunrooms, games rooms, home theater rooms, cellars and much, much more. Rather than overstretching your existing HVAC system, or having to rethink your current system entirely, ductless systems allow you to choose a heating and cooling solution that is ideally sized for your new space. In conclusion, ductless systems come with many advantages over traditional ducted HVAC systems and are ideal for a wide range of people.